Utilize Hashtags Properly » Loud Canvas News and Web Articles | Promoting web standards, best practices, and old fashioned good advice. By now the world is acquainted with the relatively “new” use for hashtags that has emerged over the last decade or so. 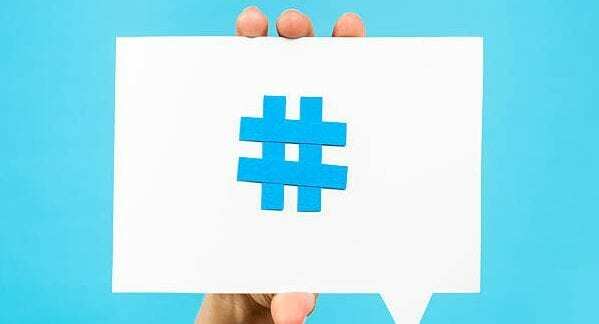 Hashtags are no longer used just to signal a number, they are now an integral tool in social media and an important utility for individuals and brands to utilize in engaging with their followers and fans. Hashtags categorize social media content which makes it easier for users to find related information, thereby helping to increase the visibility of your messages and boost your social shares. When used inappropriately, however, these symbols can negatively impact your credibility on your social platforms. Here are some helpful tips to effectively use hashtags. · Research the top recent hashtags that fit the content you are posting. Using these will maximize the visibility of your post. Trending topics, current events, and even holidays are key hashtags to consider — we call it ‘riding the hashtags’ (that is, allowing your content to ride along with the trend in order to gain attention). · For Twitter, try to limit yourself to two or three hashtags per Tweet. Research has found that using more than those leads to a drop in engagement, though you should always be testing and checking this number for yourself with various content pieces. · On Facebook, limit yourself to one or two hashtags per post. Research has found that Facebook content, like Twitter, has better engagement with less hashtags. Utilize one hashtag for your brand (#OurBusiness) and another for the subject matter of the content (#TheCoreoftheContent). · On Instagram, we recommend using between 15 to 30 hashtags per image posted. The more hashtags used, the more engagement. It was just last year that Instagram users were granted the ability to “follow” hashtags, which allows for a deeper connection with viewers who may like your content, but simply might not (yet!) be following your account. On Instagram we look to utilize hashtags in three categories for each post: trending (#SuperBowl), basic (#jewelry for a fashion page), as well as brand specific (#OurBusiness). · Use hashtags on LinkedIn like you would on Twitter. LinkedIn has only recently started using hashtags to organize and categorize content. While it will not help to use hashtags like you would on Instagram, we don’t see where it would hurt to hashtag more than you would on Facebook. · On all platforms keep the hashtags simple. This helps the social media platform categorize your hashtag and corresponding post which aids in discovery. So no #hashtagslikethisthatseeminglyaretoolong. If it seems too long and convoluted — it is. · Have a strategy with each post (to brand, etc). Try to make your hashtags as specific to the audience you are trying to reach as possible as this will help with engagement and garner committed followers. Bottom line is that hashtags can be extremely beneficial if used correctly. However, individuals and companies that go overboard and fail to understand and consider their hashtag strategy run the risk of losing followers and possibly hurting your brand. Loud Canvas Media can help you and your brand stand out on social media! Get in touch here or call us at (603) 978-8841.